It’s National “I Want Butterscotch Day,” in these United States. 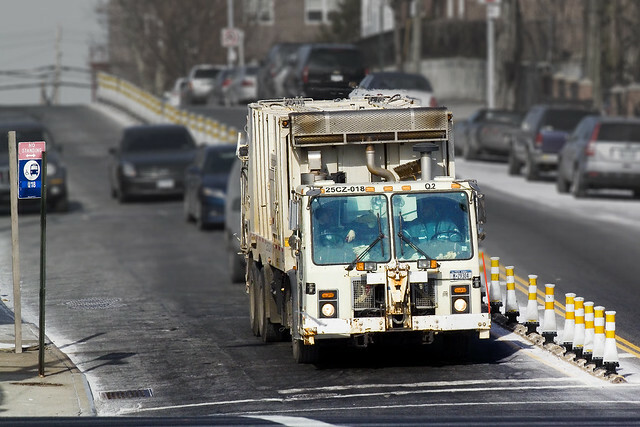 Today, the focus is on DSNY – the stolid Sanitation Department of New York City. Spending as much time as I do in meetings with government employees, the habit of pronouncing abbreviations phonetically has crawled into my speech pattern and I’ve found myself calling Sanitation “DSNY” with a spoken pronunciation of “DISNEY.” This confuses the heck out of normal people, as I’ll often refer to “DISNEY” performing street cleaning tasks or picking up garbage or their recycling and mulching programs. They picture Mickey and Goofy. As essential as police and fire, DSNY is the only reason that NYC doesn’t suffocate under a mountain of trash and garbage everyday. We are a sloppy group, we New Yorkers. My recollection is that these cats collect up something like eleven and change tons of trash a day, which is translocated out of the City in short order. I’ve asked where all the trash goes, and I’ve been told that they can’t tell me because of “homeland security” reasons. 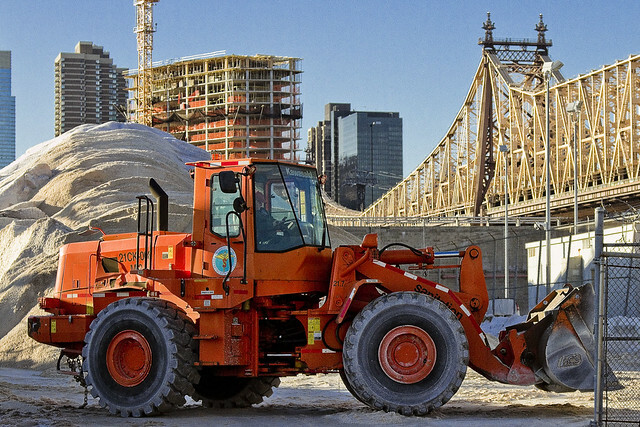 Of particular interest, given the recent spate of wintry weather, is the DSNY’s snow removal and roadway winter maintenance programs. 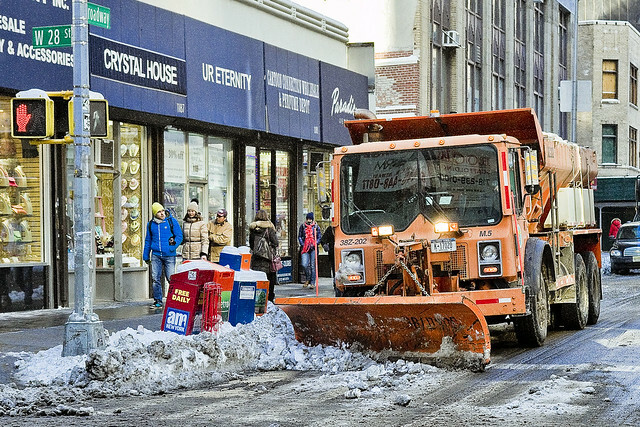 They salt, and scrape, and plow away the ice so that the rest of us can make it to work. 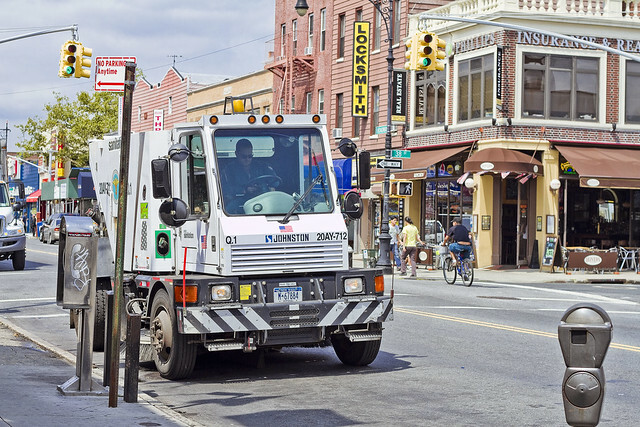 If you want more days off from work, convince the Mayor to reduce DSNY’s funding. Of course, you might die from a preventable disease due to the piles of garbage if you do.